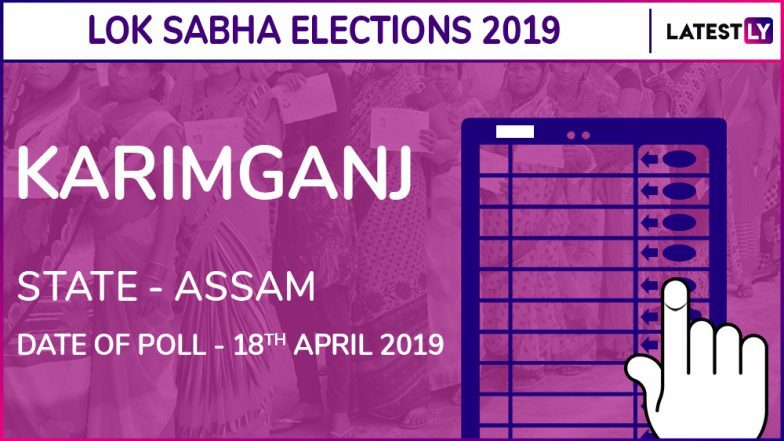 Lok Sabha Elections 2019: The Karimganj Lok Sabha constituency is one of the 14 Lok Sabha Constituencies in the state of Assam. Reserved for the candidates belonging to the Scheduled Caste Community (SC), this constituency is also the most politically vibrant and historical Lok Sabha Constituencies in Assam. According to the release schedule by the Election Commission of India (ECI), voting will take place in the second phase of the General Elections 2019, April 18. The current sitting member of parliament in the Karimganj constituency is Radheshyam Biswas of All India United Democratic Front (AIUDF). Lok Sabha Elections 2019 Schedule. In Karimganj, the key candidates taking part in the 2019 Lok Sabha Elections are Krpianath Mallah (BJP), Chandan Das (AITC) and Radheshyam Biswas (AIUDF). ECI has decided the last date for filling the nominations was March 25, 2019. Again, the last date for withdrawal of candidature was March 28, 2019. What is MCC or Aachar Sanhita? Why It's Needed & How is it Enforced? The 2014 General Election was won by AIUDF member Radheshyam Biswas who is also the current sitting member of parliament of the Karimganj constituency. He bagged about 3,62,866 votes. The runner up of the election was a Bharatiya Janata Party (BJP) member Krishna Das who won 2,60,772 votes during the election. This year, Lok Sabha Elections will take place between April 11 to May 23, 2019, across the nation. ECI announced the voting would take place in seven phases from April 11 to May 19. The final counting and declaration of Lok Sabha 2019 result is scheduled on May 23.